For the next few weeks, we will be sharing with you our travel experiences around the Pearl River Delta cities – Shenzhen, Hong Kong and Macau. This post will be updated with links to our posts on our Pearl River Delta trip. Shenzhen Windows of the World: See Eiffel Tower and Merlion in China? How to book “Secret” 20% discount Hong Kong taxis? When You Wish Upon a Lam Tsuen Wishing Tree and Get Ripped Off! .-= kelvin´s last blog ..My computer have 2 different contrast – again!!! =-. A friend of mine recently visited Macau and she said that it is a beautiful place worth to visit. .-= frugal expat´s last blog ..Surviving the Tough Economy: Extra Source of Income =-. hello zhiqiang… nice website.. very infomative.. will going to SHZ , HKG and macau this coming thursday..21 Jan 2010..
why cannot xces to macau link ? and some link for HK ? .-= mr muor´s last blog ..Mode : B|gDeal Jr =-. becos’ the posts for Hong Kong and Macau are not up yet 🙂 afraid that Macau links might not be up in time for you since I am going there first week Feb.
instead by ferry, can go macau by train? it will take you days to get to macau from hong kong by train – you will have to loop around Shenzhen, Guangzhou, Zhuhai and then down to Macau! Ferry is the most direct route. 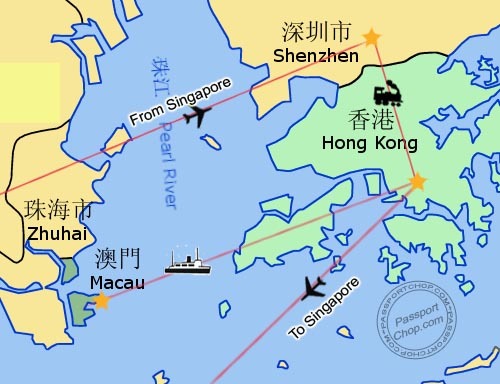 how long to reach macau by ferry ? what time to go so can make use of 1 day at macau. ? thanks for your reply…. Hi I plan to go Hk and Shenzhen end of this year, may I know which hotel convenient to go around with mtr of coz hotel need clean and worth money too , coz this is my first visit to China. Need ur advise thanks. Sorry for the late reply – missed this comment; I wouldnt recommend the hotel we stayed in Shenzhen – for Hong Kong, you can consider Stanford Hotel which I had reviewed. Hi, came across your website a few years back. Was just wondering if you have the excel file for your itinerary for HK and Macau? I can’t seem to find anywhere in the links. By the way, some of the HK posts aren’t accessible. Is there any way you could update them? be looking for. You’ve ended my 4 day long hunt! God Blesss you man. Woah this kind of blog site is extremely good i like examining your posts. Continue being on the good pictures! You already know, lots of individuals are usually shopping around for this data, you could assist these individuals significantly. the 14th highest- standing telecommunication tower in the world. It is situated in the Special Administrative Region of The People’s Republic of China. the Sky Tower in Auckland, which he later commissioned to be built the similar one in Macau, China. It is first opened on December 19, 2001.